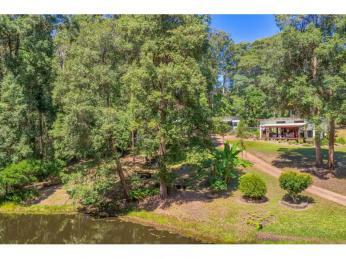 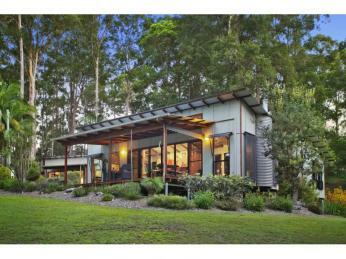 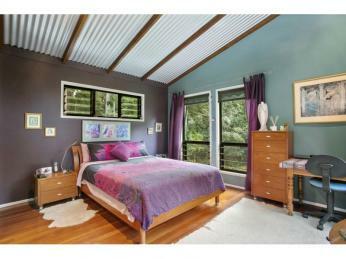 In absolute privacy, the architectural flair of this pavilion style home is completely at home on 10 beautiful acres. 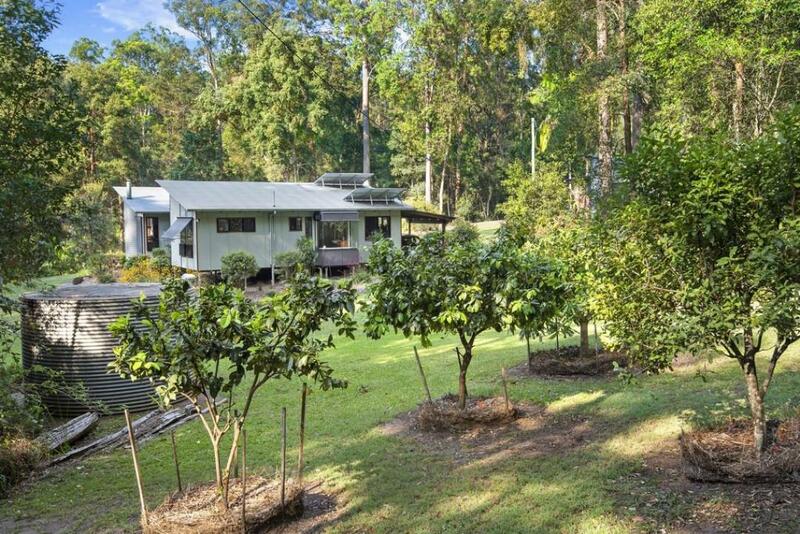 Thoughtfully designed to overlook the lake size dam and rainforest timbers beyond, the idea is to throw open the windows and doors and enjoy the serenity and relaxed way of life. 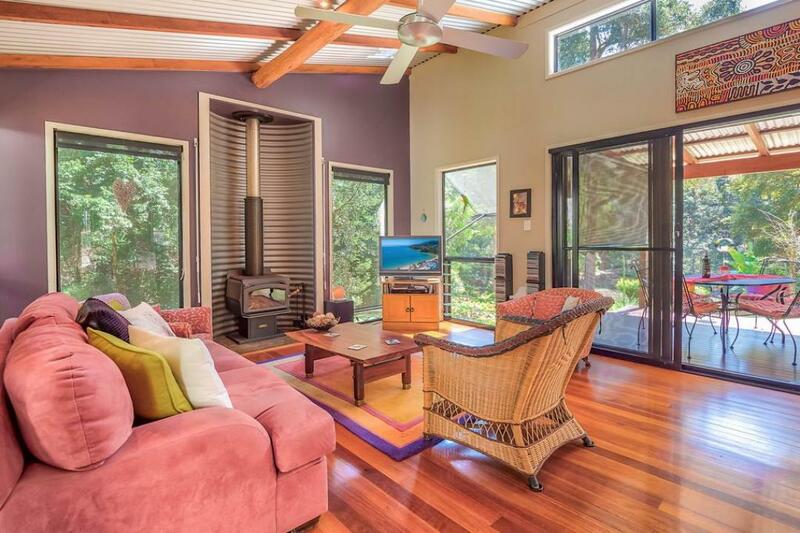 Gorgeous timber floors, raked ceilings, wide timber decks and verandahs, and loads of windows to take in the outlook and beauty that is everywhere. 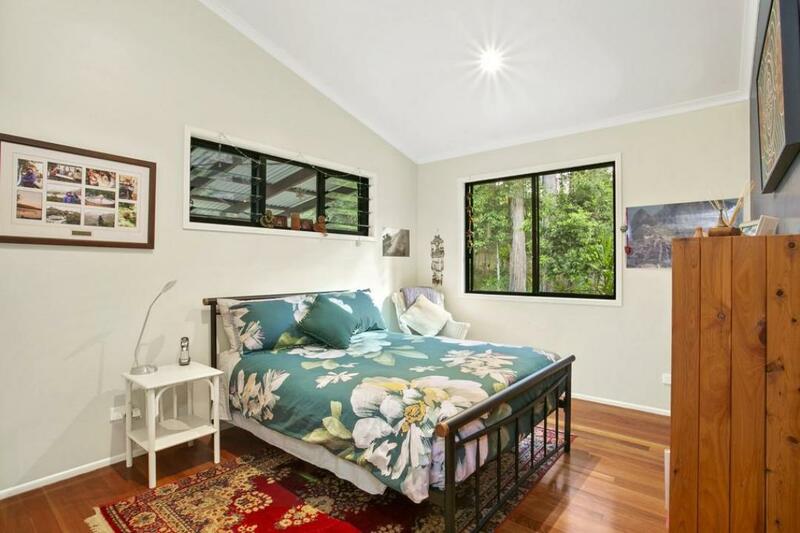 Even the enclosed walkway connecting to the bedroom wing has glass walls. 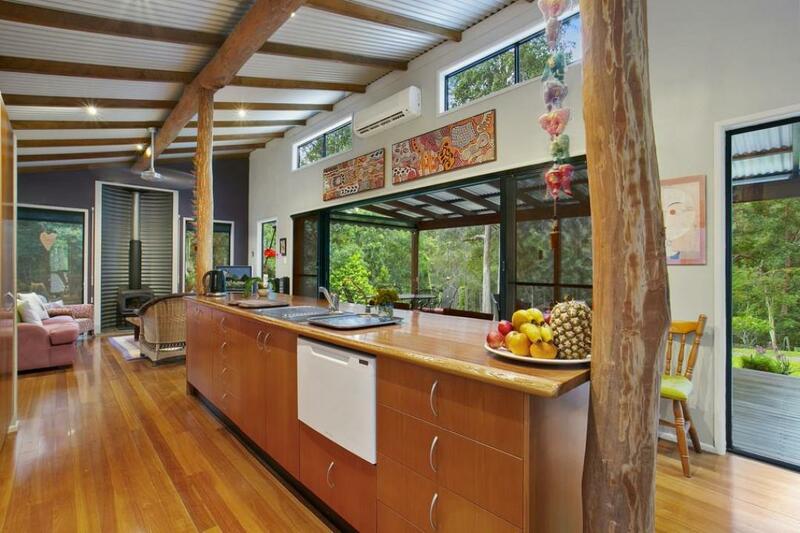 Simply superb. 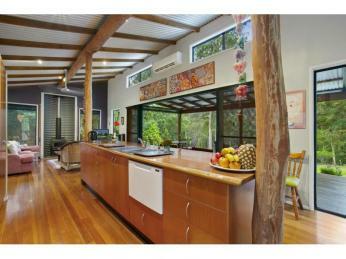 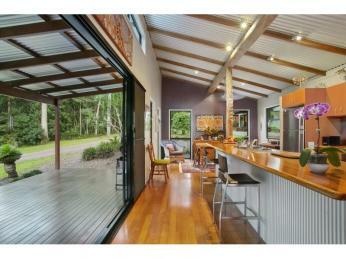 Centrally the kitchen is at the heart of the home with quirky real timber poles to embrace the home's individuality. 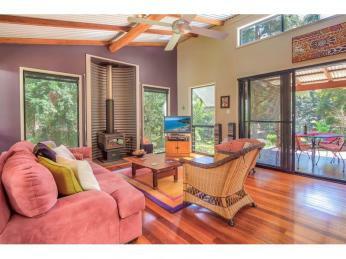 Creature comforts like ceiling fans, air conditioning and a slow combustion fireplace add to the lifestyle. 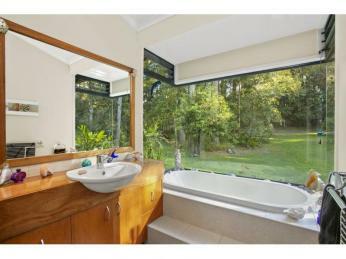 There's even a bath with a mesmerising contemplative view. 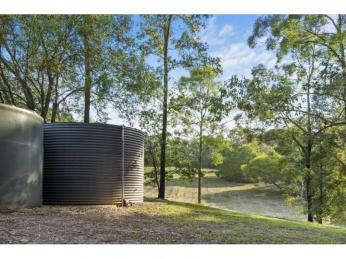 The second independent pavilion is fully self contained. 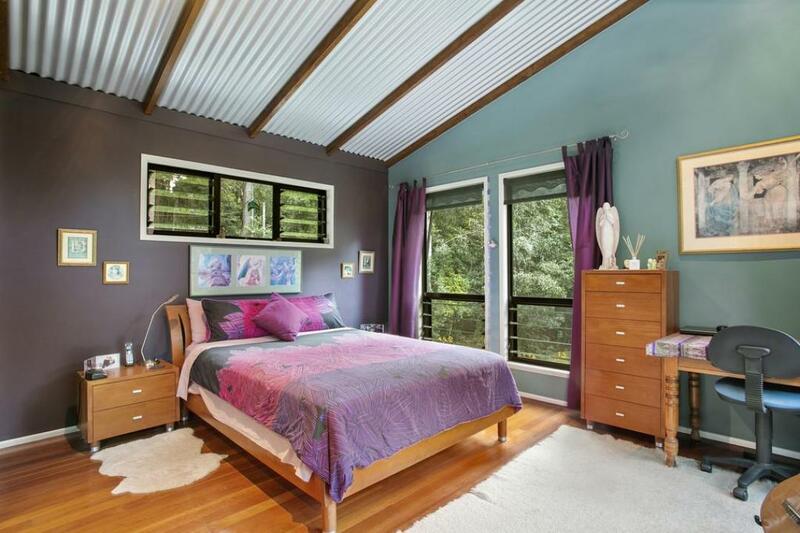 Whilst it makes an ideal work from home space, it could easily be utilised for a dual living situation or tempting as an AirBnb offering. 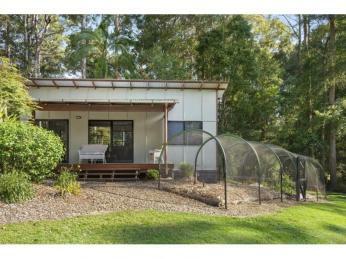 Depending on your needs it could even be a parents retreat. 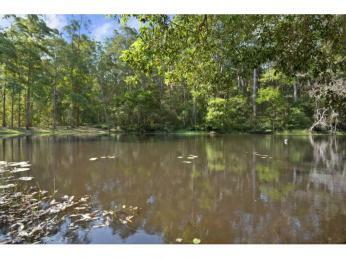 Strolling the parklike grounds is a real delight. 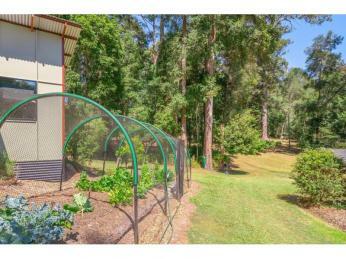 The magical sound of local bird life, established mini orchard in place with various thriving fruit trees, and a veggie garden. 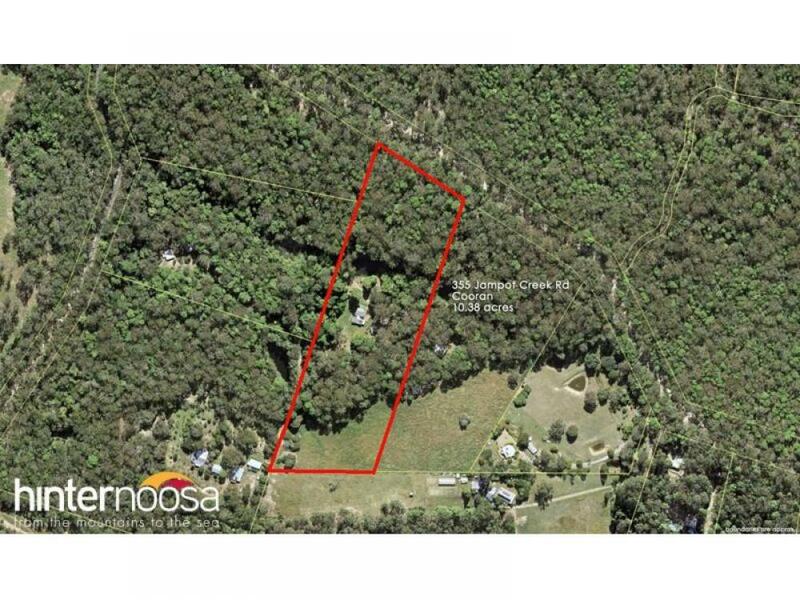 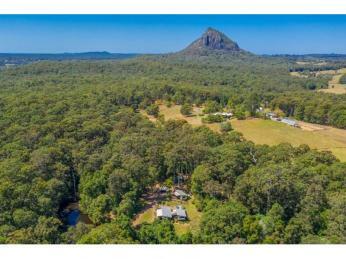 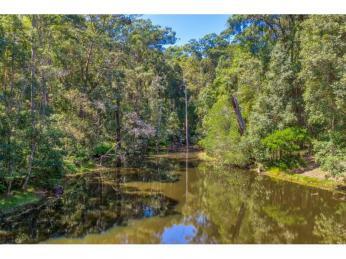 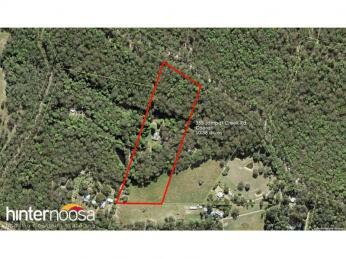 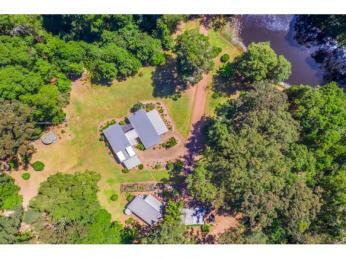 The land is mostly treed however there is approximately a 3 acre paddock at the back of the property with views to majestic Mt Cooroora for those who aspire to perhaps grow their own meat or have a horse or two. 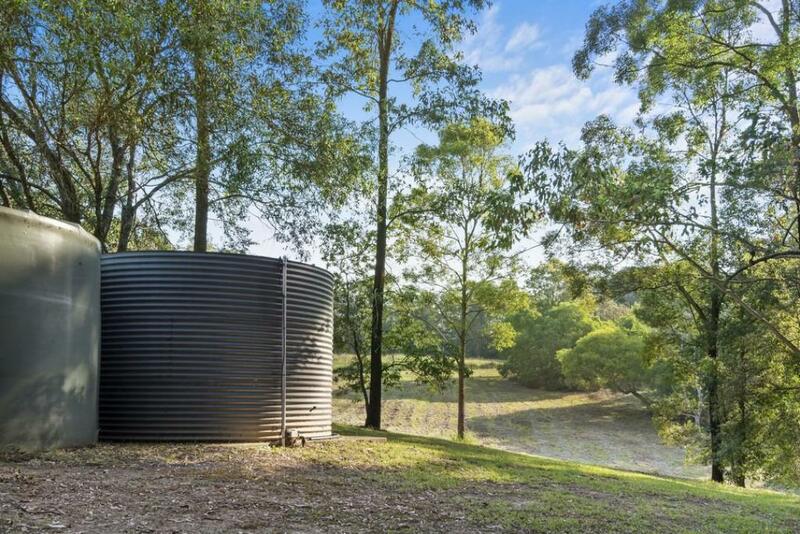 Other features include computerised watering system from the spring fed dam, solar panels, huge amount of rainwater storage and a 3 bay shed with power and lights. 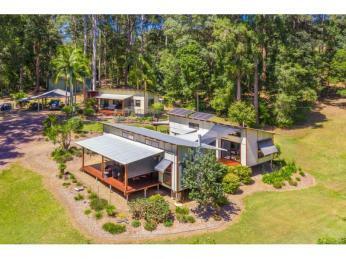 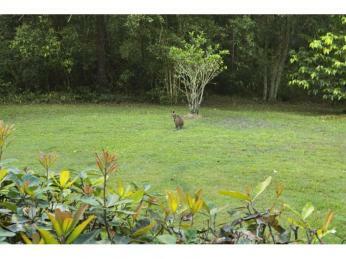 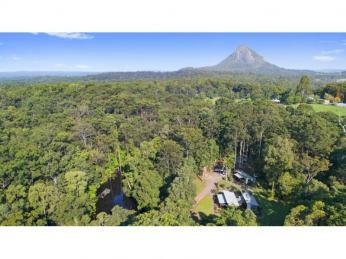 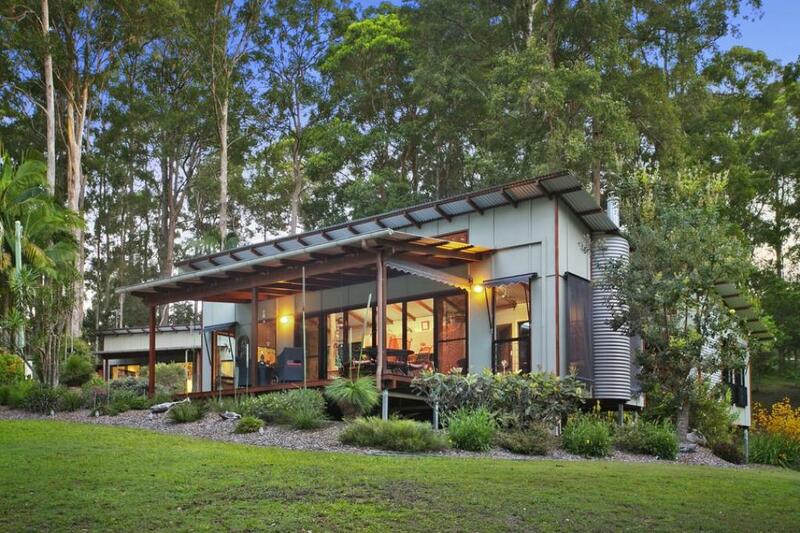 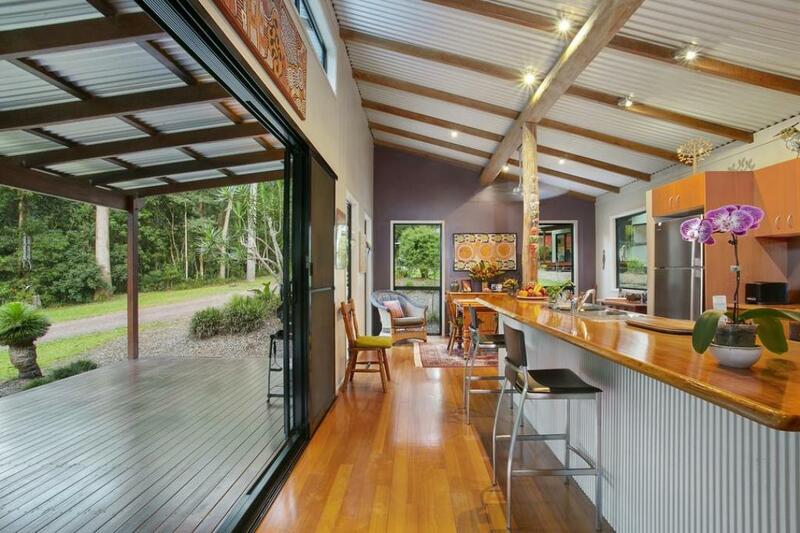 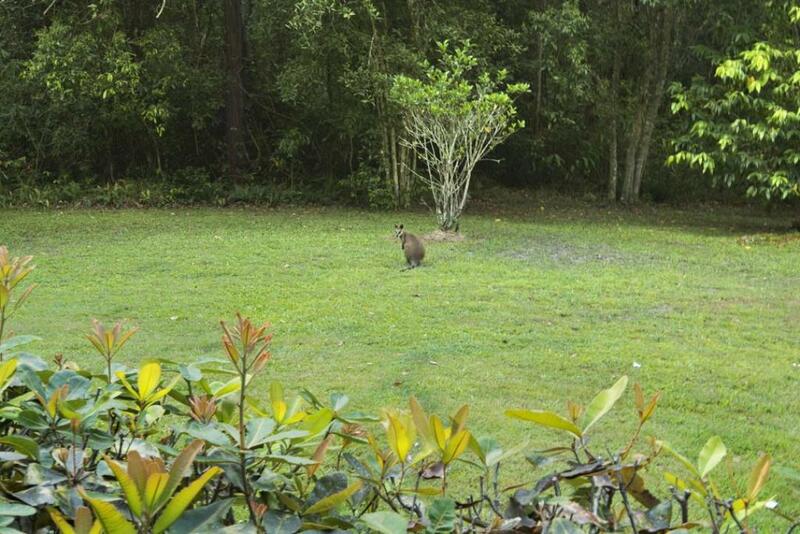 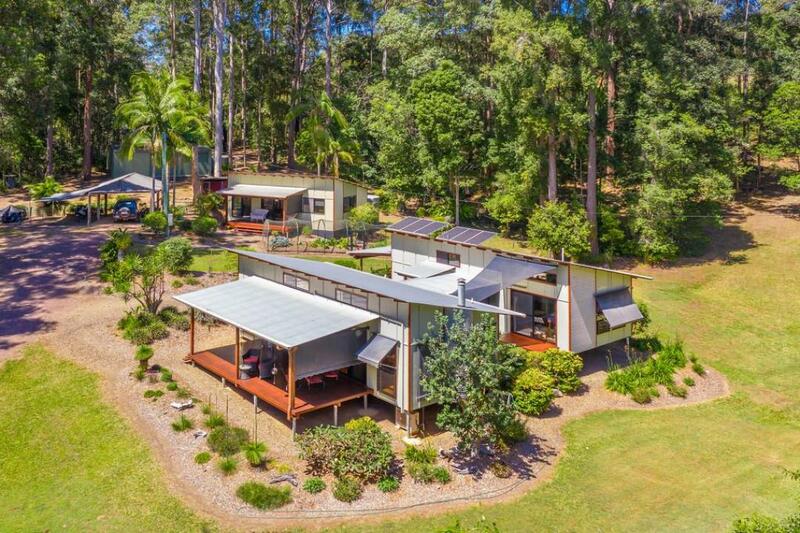 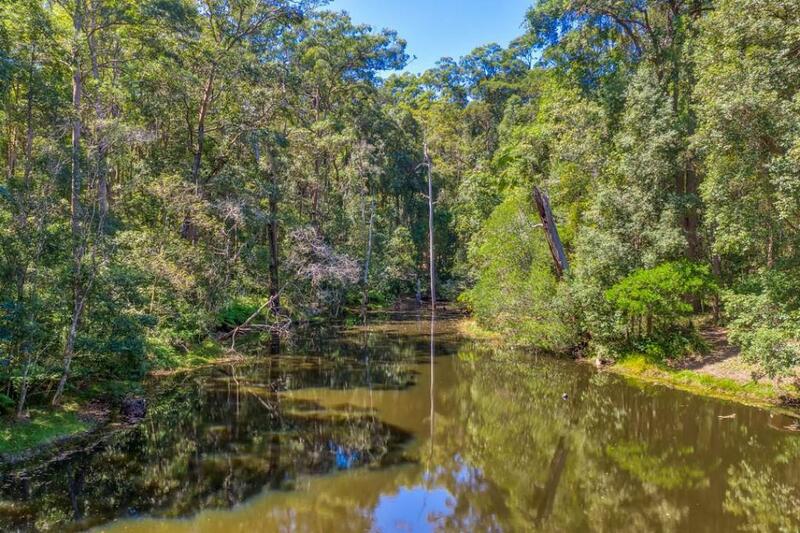 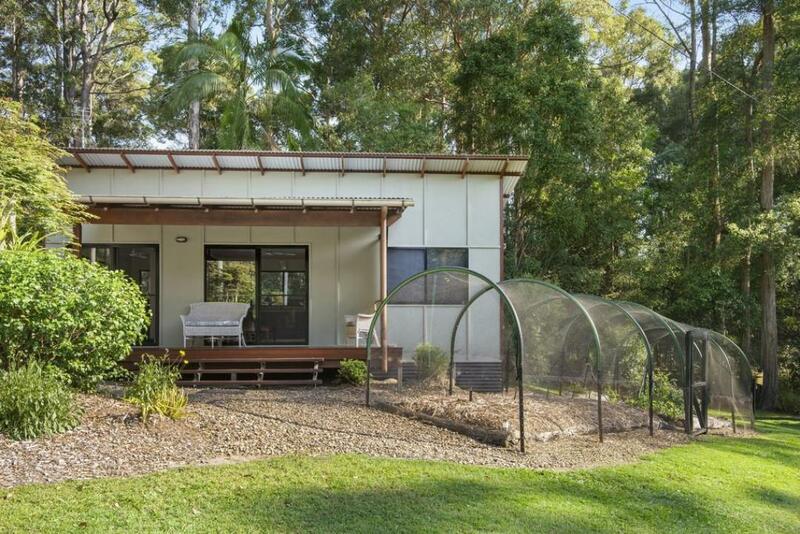 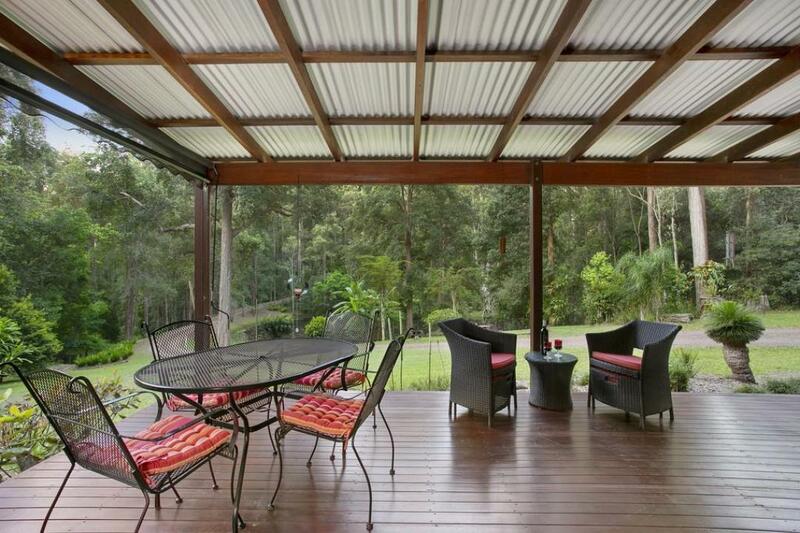 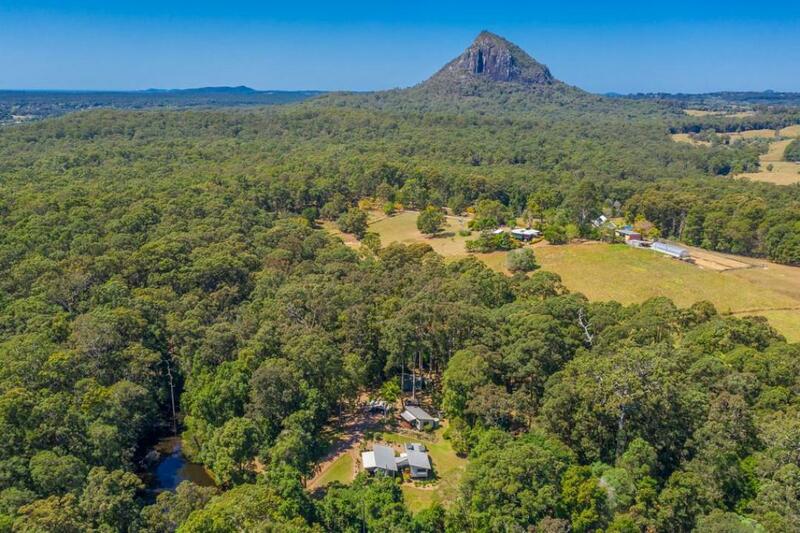 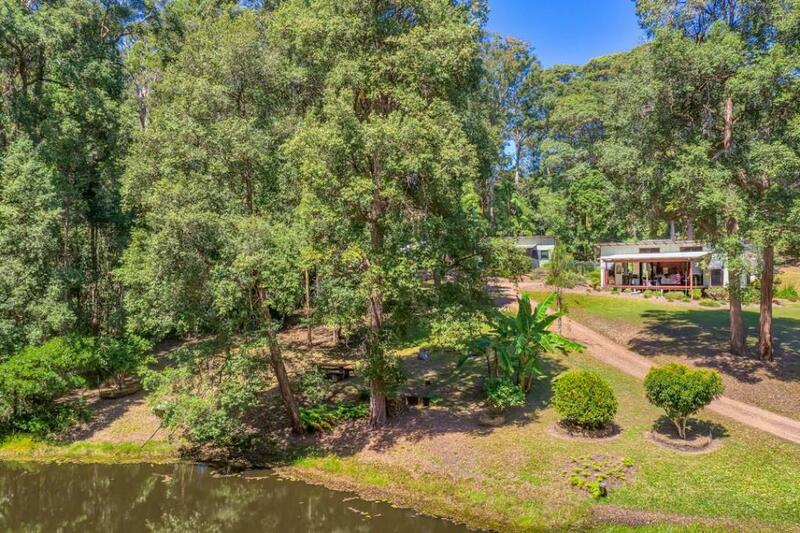 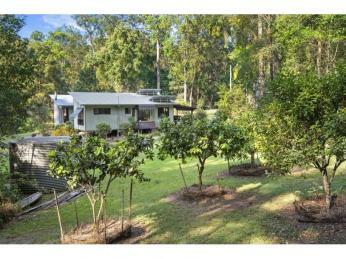 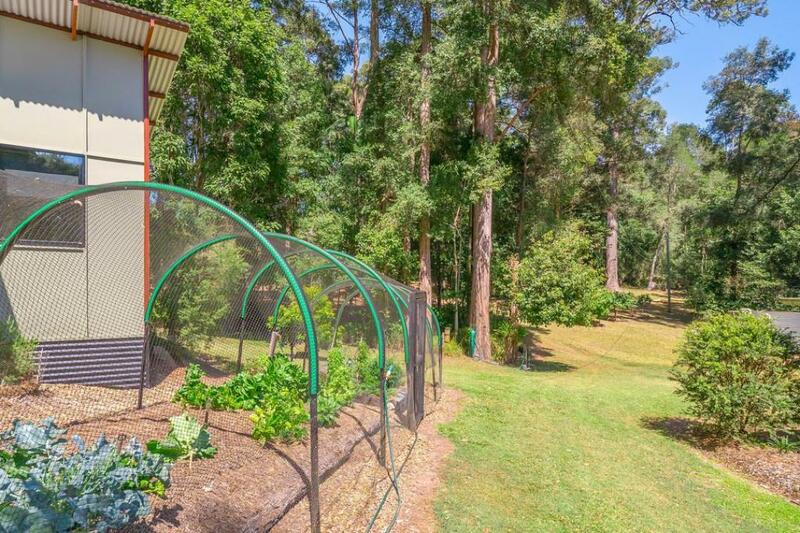 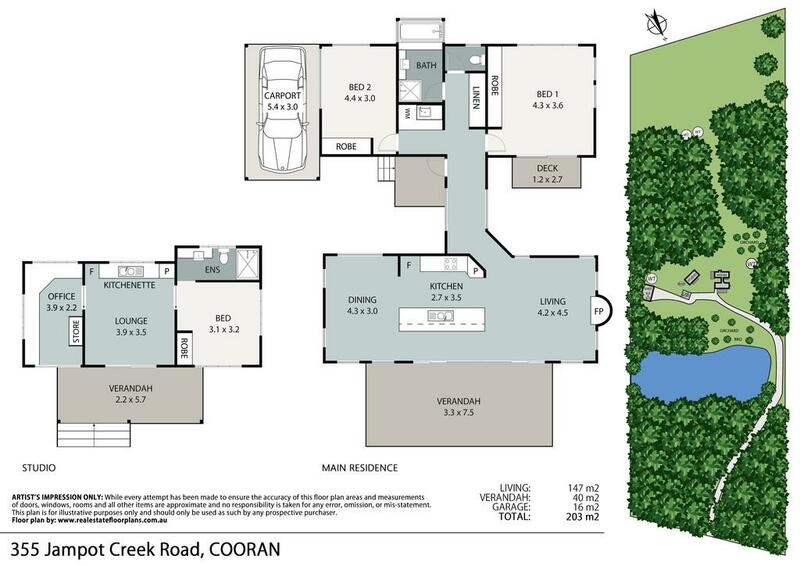 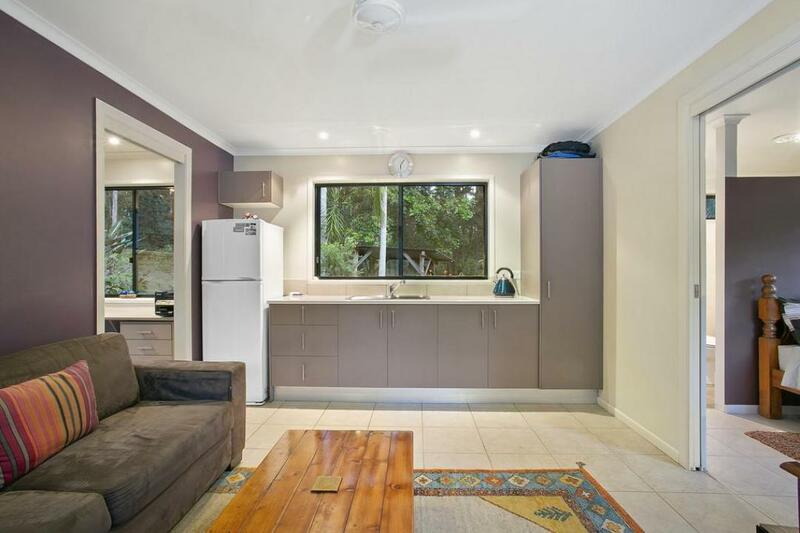 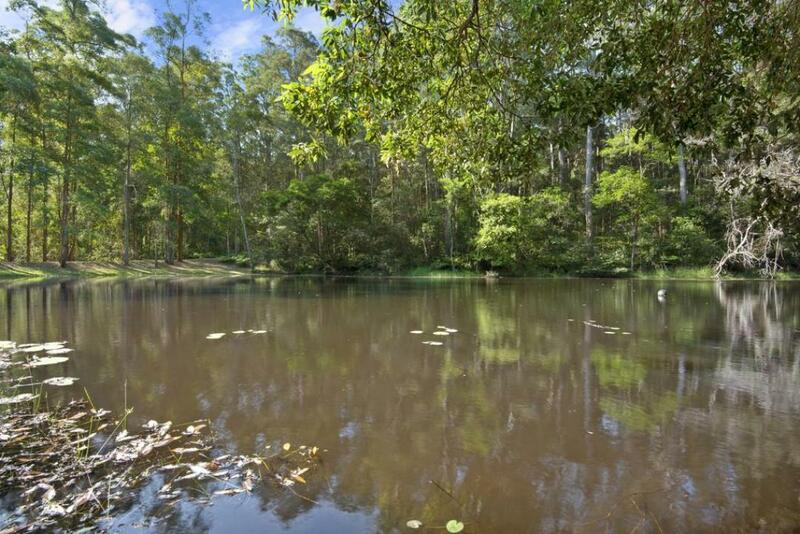 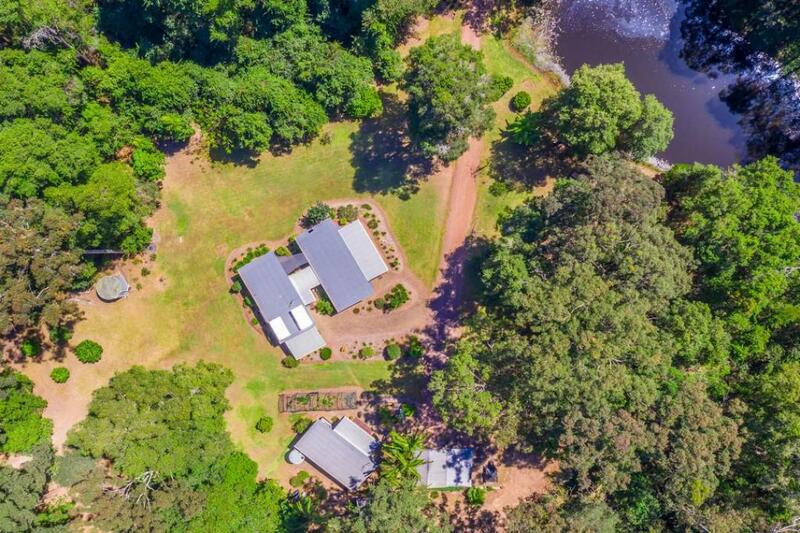 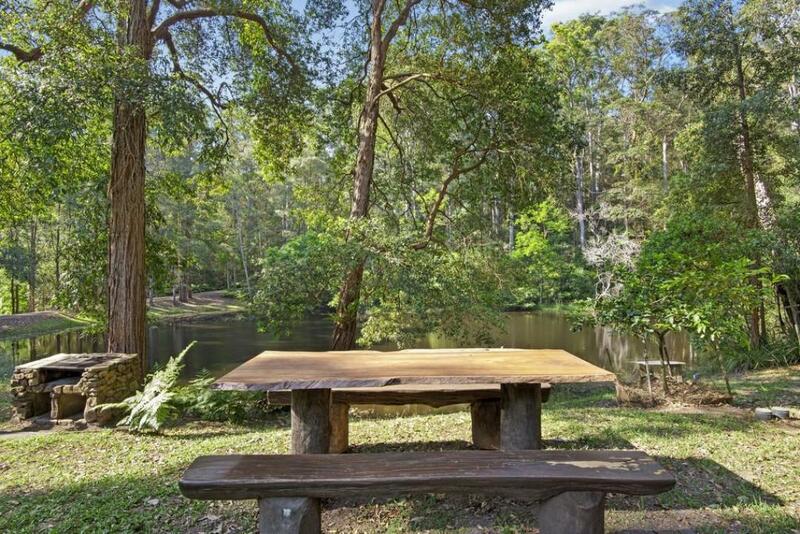 This extremely private and peaceful acreage is situated in Noosa's hinterland just a short drive to the bustling township of Pomona with Cooroy only 10 minutes away. 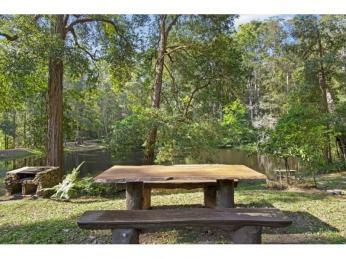 The beaches are also within 30 minutes drive, so it's the best of both worlds. 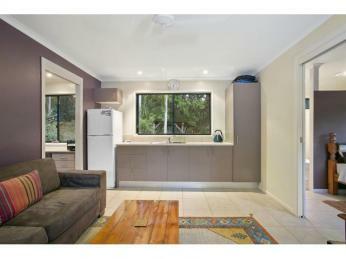 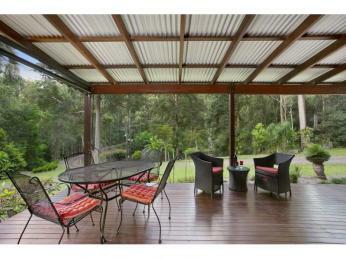 Call me today to arrange your private viewing of this sensational property.